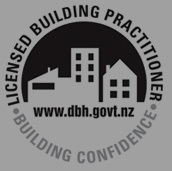 your building practitioner is licensed. From large scale alterations on multi-million dollar homes to a change of cladding or a retaining wall. HGM Builders provides professional services no matter how big or small your project. Contact us now and we will get you moving in the right direction, building bridges between your dreams and reality. HGM Builders specialise in the Auckland Central area however any job within Greater Auckland will be considered.